Learn to make folded book art! 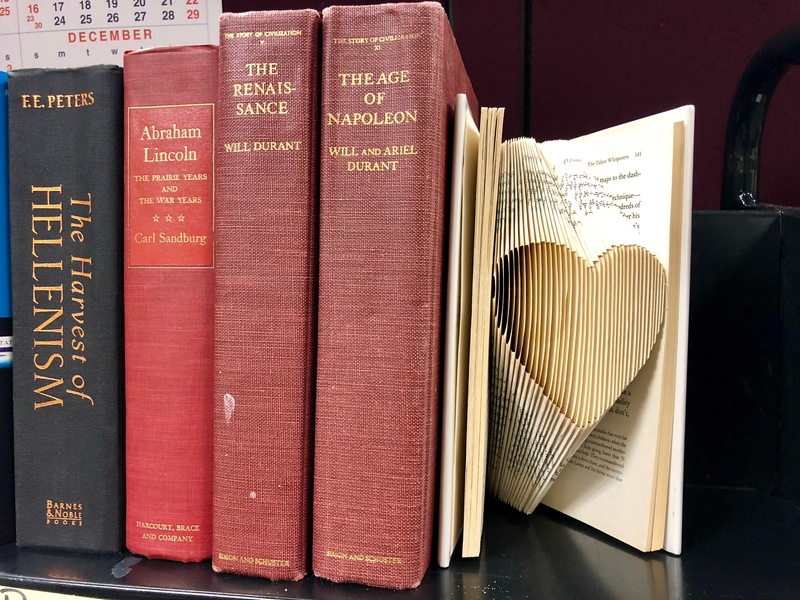 Create images by folding the pages of used books following a pattern. Adult Craft Night is a space for grown-ups to relax, learn, and create. Ages 18 and older, please. We are not able to accommodate children.